Happy Friday! 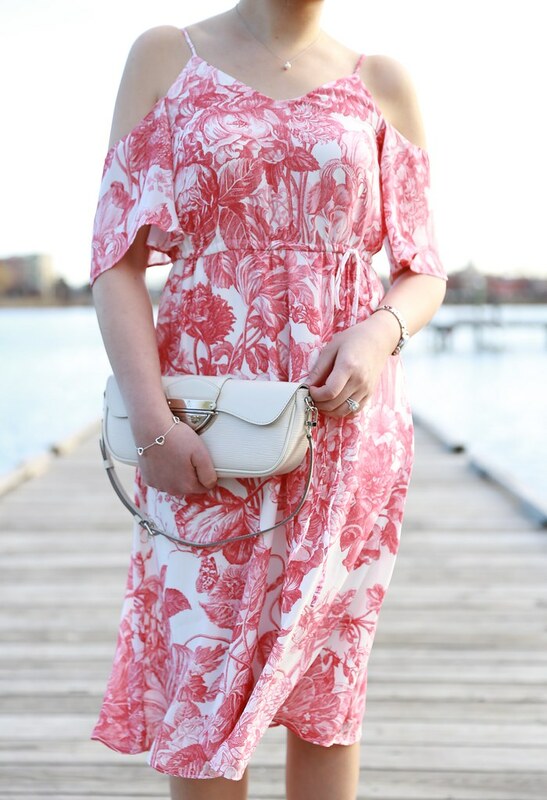 I love the print on this floral dress so much but my husband said he didn’t like it on me. He could sense my unsease with the thinner straps. He’s also not used to seeing me wear anything midi length. I took size XXSP as reviewed here but perhaps I should exchange it for size XSP since the chest is tighter. Get 40% off everything at LOFT excluding Lou & Grey. Use code GETHAPPY. Valid in stores and online. Yesterday they had a 50% off flash sale in stores only from 12-7PM but I couldn’t make it due to work and trying to get over catching a chill. This spring in New England weather makes me so confused. I purchased an Ann Cares card last week at Ann Taylor so I hope to head in stores this weekend for an extra 25% off my full-price promotional purchase. The Ann Cares card is a $25 one time purchase for a great cause (90% of the proceeds goes towards BCRF) and it’s also a great deal if you plan to shop a lot in stores for spring and summer clothes now through May 14th since it’s valid at both LOFT and Ann Taylor and their outlet locations and it can be combined with full-price promotional offers. You can also refer to bullet point #10 of this blog post from a former employee to learn more about shopping and saving at Ann Taylor and LOFT with the Ann Cares card/St. Judes cards. The latest new arrivals just keep on coming! Su @allaboutloft just shared this lacy pintuck peplum shell with me. I also like this striped bow back shell as seen on @birchandflair but I couldn’t link to it in the widget above. I wanted the new floral fringe top (@rossmoor_styling confirmed that it’s 100% cotton and not rayon) but I ended up ordering this embellished bell sleeve blouse by Pleione. Update 4/28: The Pleione blouse ran big and long as XSP felt like size S/M regular. The material was also thin/sheer. I’m receiving the floral lace bell sleeve top and these cutout wedge sandals (review here) in the mail today. I’ll try to do another update this weekend if I’m able to stop by the store. I also received my Ann Taylor order from last week but the striped cinch-waist dress which I ordered in size XSP was too big. I saw the dress on a store employee last week and it looked really wrinkly so I ended up returning it instead of bothering to exchange it for size XXSP. I’ll just stick to the blouse which I love (last seen here). 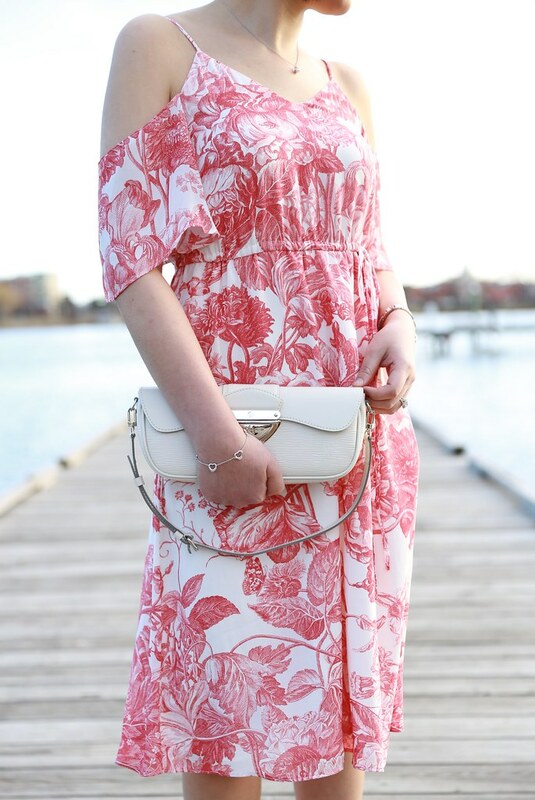 Update 4/23: I ended up getting this adorable new fluted shirtdress in store in size XXSP (review here). The denim puff sleeve jacket I ordered in XXSP but it fit like a regular XS. I was hoping for a slightly cropped length but it hit me at the hips and the sleeves were too wide. Lastly, I ordered the gingham bib swing top in size XXS regular but I really should have went with XXSP as recommended by my online True Fit profile because XXS regular was too wide and roomy and fit more like size S.